Our award-winning state of the art Learning Center includes both grass and matted hitting areas. In addition, there are two short game areas, a green side bunker and two large putting greens. All these areas are open to the public. Come sharpen your skills! 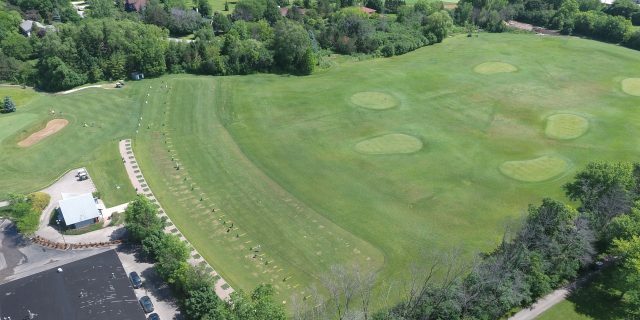 grass tee and short game area open april 27! OUR LEARNING CENTER IS EXCEPTIONAL! *In order for us to keep the facility in premium practice condition, the main grass practice areas will be closed on Mondays for maintenance. At 11:00 am the Learning Center matted tee line will open, and the short game practice area along side the 18th green will remain open as well.